Every day I try to give the best care possible to my patients. I believe it is a great honor to have the opportunity to participate in their care and to improve the health of their eyes. It is also very rewarding to have the privilege to improve the quality of life of others. Kourous A. Rezaei, M.D., is an internationally recognized expert in the medical and surgical treatment of vitreoretinal diseases. He specializes in treating a full range of conditions, including retinal detachment, proliferative vitreoretinopathy, diabetic retinopathy, macular holes, diabetic macular edema and vitreous hemorrhage. 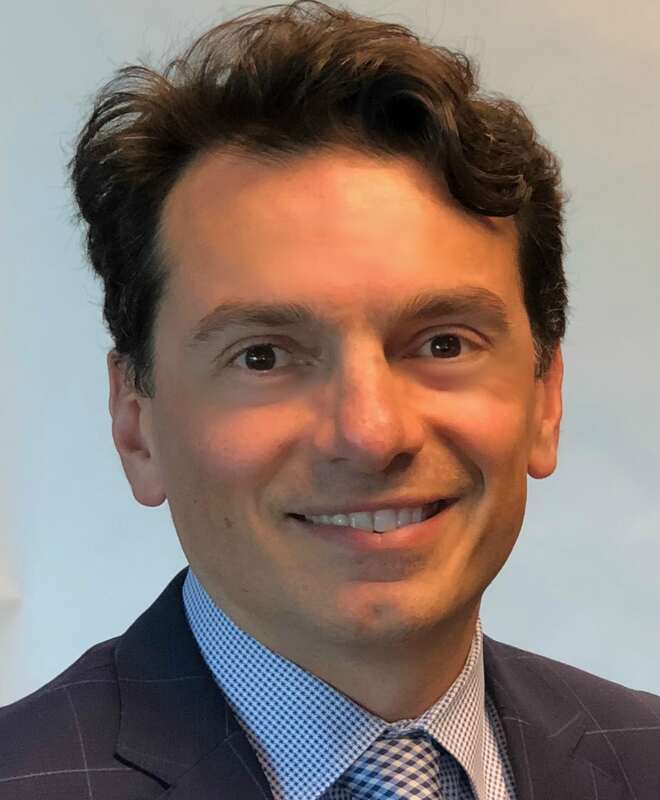 Dr. Rezaei also serves as an Associate Professor of Ophthalmology at Rush University Medical Center and is the Director of the Vitreoretinal fellowship program. Dr. Rezaei is a voting member of the Board of Directors of the American Society of Retina Specialists (ASRS). He is the delegate of ASRS at the American Medical Association (AMA) and is the Chair of the International Affairs Committee at the ASRS. Dr. Rezaei is also a member of the Retina Society and Chicago Ophthalmological Society. He has been with Illinois Retina Associates since 2005. While working on his medical degree at the prestigious University of Cologne in Germany, Dr. Rezaei spent a month studying with the late Prof. Klaus Heimann, who became his mentor and proved instrumental in shaping Dr. Rezaei’s future career as a retina specialist. Following medical school at University of Cologne, Dr. Rezaei moved to the United States to pursue the most advanced research opportunities at the University of Chicago. While there, he continued his research in the field of cell transplantation as a treatment for age-related macular degeneration. Dr. Rezaei completed his residency at the University of Chicago and served as Chief Resident in his final year. He went on to perform a vitreoretinal surgery fellowship at the Kresge Eye Institute in Detroit. During his fellowship he received the prestigious Ron G. Michels Fellowship Award, which is given annually to the most outstanding retina fellows in the country. Upon completion, he returned to Chicago, where he became Director of Vitreoretinal Service at the University of Chicago. He is certified by the American Board of Ophthalmology since 2003. Throughout his career, Dr. Rezaei has been dedicated to research and has served as principal investigator or co-investigator in numerous major clinical trials, including those involving new treatments for diabetic macular edema, central vein occlusion, and age-related macular degeneration. Dr. Rezaei is also a busy writer and lecturer. In the past few years, Dr. Rezaei has been invited to speak in more than 17 countries in five continents. He had the privilege of being invited to speak at the Annual Meeting of the American Academy of Ophthalmology Retina Subspecialty Day in the past three years and was invited to speak at the prestigious Vail Retina Meeting. Dr. Rezaei has published more than 30 articles in leading academic specialty journals, and has authored chapters for more medical textbooks. He also served as an editorial board member for Investigative Ophthalmology and Visual Science and has reviewed numerous articles in other leading journals. Dr. Rezaei has presented more than 80 abstracts to his peers at ophthalmology meetings around the world and serves as an advisor to several major pharmaceutical companies. Dr. Rezaei holds memberships in a number of professional societies and organizations and has won numerous awards, including the prestigious University of Chicago’s Albert M. Potts Award for outstanding performance in ophthalmology research and science, and the Beem Fisher Award from the Chicago Ophthalmological Society. Dr. Rezaei is on staff at several area hospitals and sees patients at Illinois Retina’s Orland Park, Harvey and Munster, IN office locations. When he’s not in the office, Dr. Rezaei and his wife enjoy spending time with their two sons and relaxing. He especially enjoys coaching his sons in soccer, playing tennis, skiing, running and watching Formula One racing. Dr. Rezaei is fluent in English, German and Persian.